NEW YORK, NY--(Marketwired - April 21, 2015) - The Adobe Photoshop Lightroom 6, is an advanced photo-management and editing tool with intuitive, powerful controls that can be utilized by beginners and professionals alike. This software is designed to allow for organization, editing, and sharing of your images, and this update provides a selection of new features to take your photography to the next level. Allowing organizing, editing, and exporting of images, Lightroom is designed as an all-in-one post-production solution, complete with a non-destructive editing environment to preserve all of your original files. Along with general performance enhancements, new tools have been implemented to further assist photographers. This includes a set of new Merge Modes, HDR and Panorama, that will allow quick and seamless compositing of multiple images to increase dynamic range or the overall field of view, respectively. Facial Recognition is now available, as well, to help users organize and select photos or people quickly. A Filter Brush further enhances control with the ability to easily edit a Graduated or Radial filter's mask by adding or subtracting effects precisely where needed. Additionally, along with general performance enhancements, this edition of Lightroom allows for the creation of advanced video slideshows and HTML5-compatible web galleries for sharing your work in more interesting and dynamic ways. This update builds upon the success of its predecessors and features the full suite of tools introduced throughout the years, such as Smart Previews for working offline, advanced metadata editing capabilities, Develop presets for fast one-click effects for your images, and Advanced Healing Brush for retouching photos, and a plethora of options for sharing and exporting photos. B&H Photo Video is a Adobe authorized dealer, with the most up-to-date Adobe product information, product pricing and promotional offers. B&H carries a host of Aodbe products which include: Adobe Photoshop, Adobe Creative Cloud, Adobe Audition and more. As the world's largest source of photography, video, and audio equipment, B&H Photo Video is known worldwide for its attentive, knowledgeable sales force and excellent customer service, including fast, reliable shipping. Visitors to the website can access a variety of enlightening articles and educational videos. B&H has been satisfying customers worldwide for over 40 years. When you're in Manhattan, take a tour of the B&H Photography SuperStore, located at 420 Ninth Avenue. The expo continues all year round in the camera kiosks at B&H. Featuring the newest cameras, the kiosks are manned by manufacturer representatives, who are there to guide you and demonstrate the latest photographic technology. With hundreds of products on display, the B&H Photo SuperStore is the place to test-drive and compare all the latest photography gear. 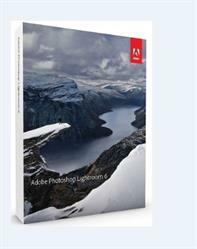 The Adobe Lightroom 6 gives you all your digital photography essentials in one fast, intuitive application. Organize all your photos. Perfect your best shots with powerful one-click adjustments and advanced controls. Easily share your work almost anywhere. All your digital photography essentials in one fast, intuitive application.